Seats 34; children welcome. 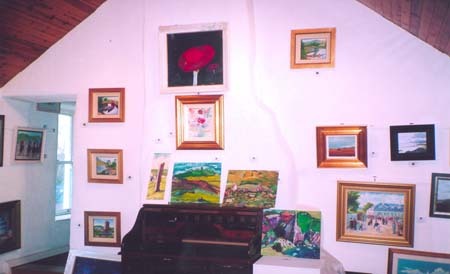 Open all day 10.15am-4.45pm, Thu-Sat and Mon. Closed Sun & Wed. MasterCard, Visa. 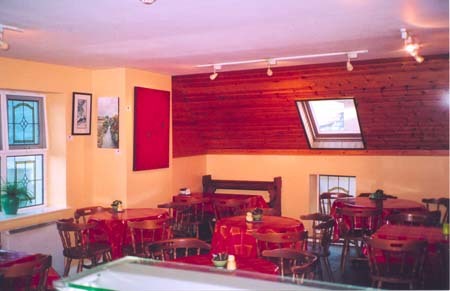 Go under the archway beside Kate McCormack’s sixth generation butcher’s shop in Westport and up the stairs, where you will find an art gallery on your right and, on your left, this small, unpretentious restaurant with an open counter displaying an array of good things, including home-baked cakes, quiches and patés - the product of generations of family recipes and particularly of Annette McCormack’s table. Here, her two daughters, Katrina and Mary Claire, carry on the tradition - and the welcome. Treats especially worth trying include seafood chowder, leek and bacon quiche and, in season, fresh crab on home-made baps. Locally reared meats go into specialities like bacon and cabbage, and a casserole of spring lamb. And don’t leave without one of the gloriously home-made desserts. Many of the deli dishes from the shop are on the menu, as well as farmhouse cheeses including the local Carrowholly cheese. 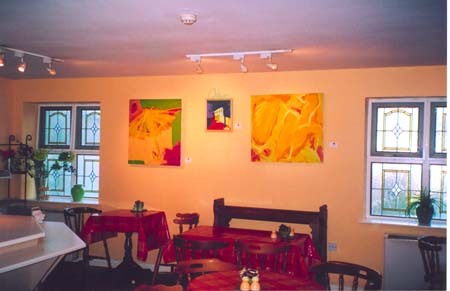 Works by local artists hang in the restaurant and adjacent rooms: well worth a visit. Westport town centre - on the main street (the one with the clock tower at the top).